Welcome to Week 29 or Year 5 here at Paint Party Friday! Random.org this week chose #41 - Ginger Burns. In a collaborative effort with her young son, Ginger painted this lovely textured scene. Fall has arrived in the North and this painting has the same hints of Autumn that many of us are starting to experience. Please check out her post for more detail! As always, please make sure to use your post URL address NOT your blog home page URL address as there are many late visitors who get confused as to which post is for PPF when they arrive (after Friday) at your website. If you are unfamiliar with Mr. Linky, an explanation of how this tool works can be found on Week 1 and Week 2 posts. Have a colourful and paint-filled week! Welcome to Week 28 of Year 5 at PPF! This week our random number generator chose #39 - Andrea of Falling Ladies. 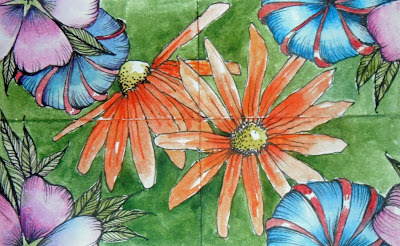 Andrea has been very busy painting designs to turn into fabric. Very challenging to make sure the patterns will recur properly! These are two of her creations. Please drop by and see the rest! Maybe you'd like some fabric too! Paint Party Friday: Week 27, Year 5 Check-In AND A Super Fun Announcement!!! Welcome to Week 27, Year 5 of Paint Party Friday! 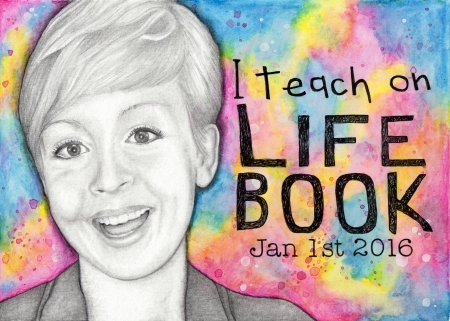 Our very own PPF co-host Kristin, is teaching on Life Book 2016!!! Not only that, she is giving away 1 spot to the AMAZING year long course on her blog! I don't know about you, but good news always makes me feel like splashing some paint around... LET'S PARTY!!! 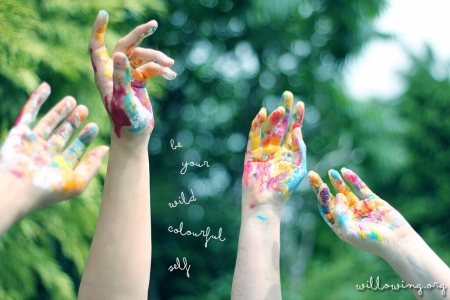 Have a wildly colourful week! Welcome to week 26, year 5 of Paint Party Friday! This week, the random.org number generator chose #5: Indira from the Dharma Karma Arts blog. One of the things we love about Paint Party Friday is seeing all of the fun and different ways you all create with paint! 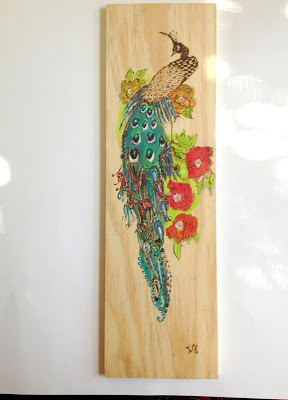 Last week we had the pleasure of seeing Indira's unique use of pyrography and watercolor to create this positively perfect peacock on wood. Please be sure to stop by her blog to see photos of her step by step process! Have a positvely perfect paint-filled week!